Buy 2 GET 2 FREE ARTICLES**100% UNIQUE (NO SPUN) & High Quality Article**To give you the best work quality, I need an unmistakable guidance for your request with the goal that I can coordinate to your desires. 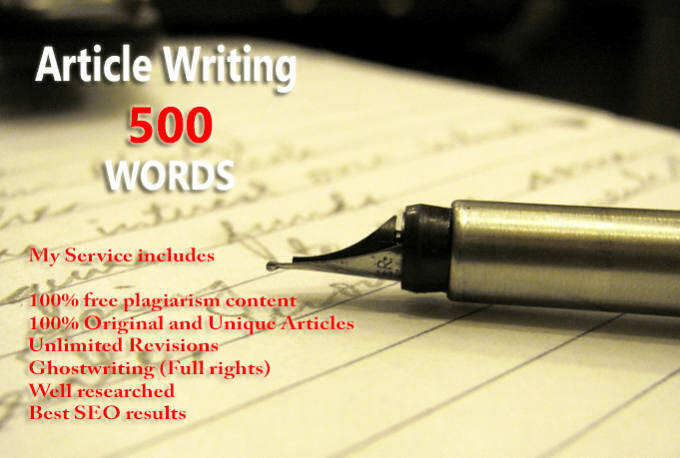 Will Give You 13 Articles of 500 words each, Pass Copyscape and SEO Optimized is ranked 5 out of 5. Based on 2 user reviews.